Studio VTEM presented users with an easy and pleasant pattern VT Agriculture, which is able to submit a site garden and economic subjects. The template has 5 variations of style and design has instant downloading, and bright colors and pleasing colors allow site users to win. 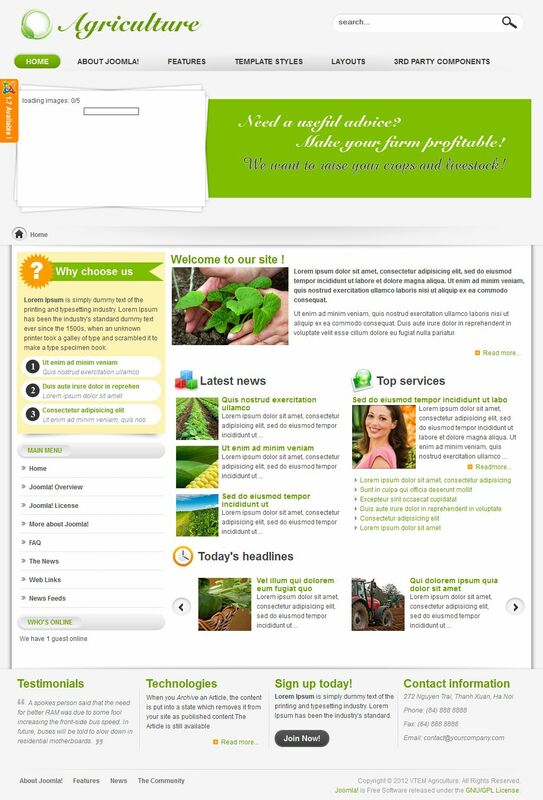 Template cards VT Agriculture is primarily focused on the perception of information quality and usability of the webmaster. Two-column layout structure can be easily changed from the administrative panel of the site by type Body + Right, Left + Body, Wapper (block main content (body) the entire width of the template).